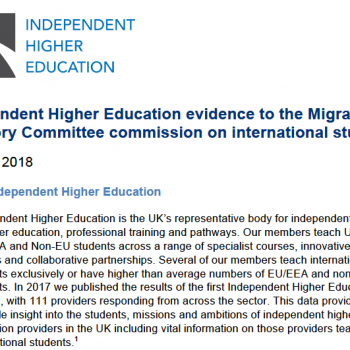 Independent Higher Education (IHE) has responded to the Government’s consultation on Accelerated Degrees. The Department for Education announced the consultation in December last year, seeking views on how to enable and encourage wider provision of accelerated degree courses, and increased enrolment by students. The consultation documents propose a new model for funding and support which would be in place for the Academic year 2019/20 subject to Parliament. 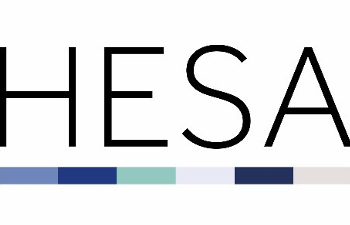 The consultation defines accelerated degrees as “undergraduate first degree qualifications provided in a more intense period of study than other equivalent courses” and only courses approved by the Office for Students as ‘accelerated degrees’ will be entitled to set tuition fees up to the relevant higher annual limit for Approved / Approved (fee cap) providers. Despite allowing institutions to charge to up 20% more per year for an accelerated degree, DfE posit that the proposals, when added to the average salary of £19,000 in the first year after graduation, means a potential £25,000 saving for students. For the taxpayer, this would also mean significantly lower tuition loan outlay, higher rates of repayment and therefore a lower cost to the public purse of higher education. There are a range of accelerated courses currently on offer, but the Government’s ambition is to make more courses available across the widest possible range of subjects.